Once in a while, someone pulls out an old whisky that they got from a parent or friend that is so old no one is sure where it came from or what it is. 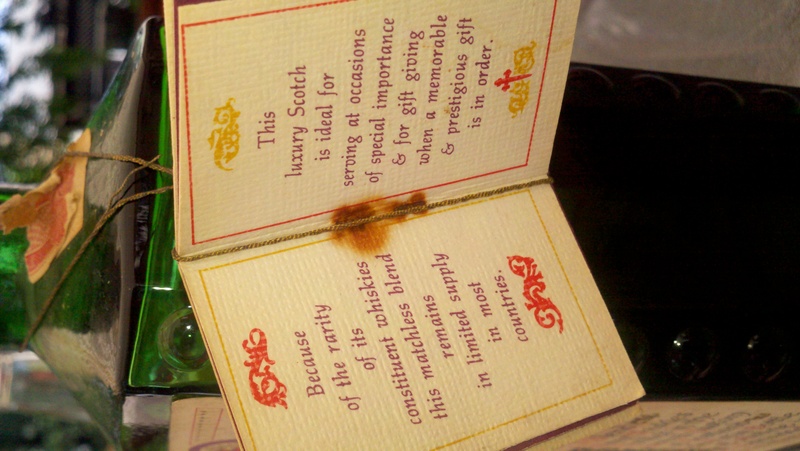 Some time ago a family friend who knew of my interest in scotch offered me an old and odd bottle of whisky. The graphics were obviously dated and the bottle looks like it had aged more than the actual whisky. 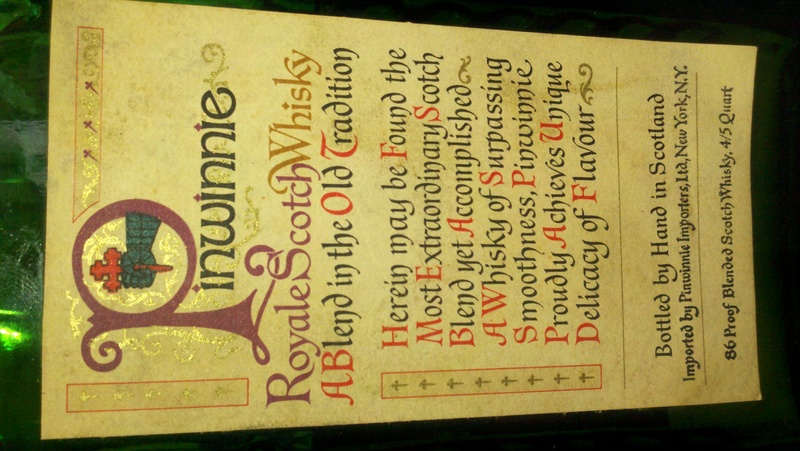 The name read Pinwinnie Royal Scotch Whisky and still had the advertising/marketing information with it. I was eager to try it and was very surprised to find it a very drinkable whisky. This Easter I had it again at his house and googled it and promised him I’d find out some information about it. 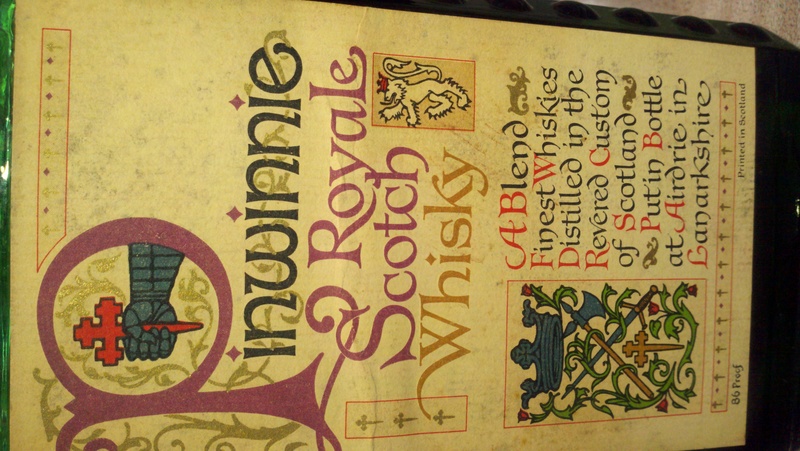 Turns out it’s a long discontinued whisky that was handed over from the original Pinwinnie distiller to Inverhouse and has since been discontinued. From the packaging and marketing, I think it is from the late 1960’s. The whisky is surprisingly good, very soft and rounded. When I nosed it I thought it may be a Speyside product, I was happy to see I was somewhat correct in that. I actually enjoy drinking it and actually get a kick out of it being a bit odd. I love finds like this one, they are uncommon and for someone who is inquisitive its a fun pursuit to find out information about it. If you have any, enjoy, there isn’t any left! And yes, I do intend on getting the rest of the bottle from him, if not, I will just keep visiting. At the Nth in Las Vegas recently, I was in a Masterclass with The Balvenie Ambassadors. The gentlemen had scraped together their resources and brought us the entire 17 year line of Balvenie offerings. I have to say, although I have admired the marketing of Balvenie for some time I have never been one to try varieties of The Balvenie. That has changed. We started the tasting with the Madeira Cask. At first, the Madeira Island is off of the coast of Africa. Not in Spain. The nose offers up floral and fruits. The actual taste is a bit different, some plums, raisins, and cigar smoke. Confusing. Though this sounds heavy the finish was very light. Of all of the 17 this was the only one I have notes on as having a light finish. Then we have the 17yr. Rum Cask. As you would expect, brown sugar, caramels, and bananas jump out of the glass. On the palate, bananas and I thought liquorice. It was a very different scotch offering for me, I’m sure some would really enjoy it, rum lovers come to mind. I have a greater appreciation now for Olosoro Sherry wood. The 17yr Sherry Oak really shines with fruit. On the nose, Sherry wood, caramels, and creme brulee. On the tongue, I got caramels and again, bananas. Very fruity, very much a dessert type of scotch. This one really breaks the mold of what the average person thinks of as scotch. And now, Oak, yes, American White Oak. It is a wonderful thing! The 17yr. New Oak is a real crowd pleaser in my eyes. Very light on the nose, and smooth, silky cream with slight smoke on the palate. I think that this is an easy introduction to scotch for a non-scotch drinker. And for the record, I really like Bourbon. The 17yr. New Wood Balvenie really hits a bourbon drinker in the sweet spot. Having used bourbon barells for a considerate time. This spirit has a very sweet vanilla taste. I was told that possibly Jim Beam barrels were used. The finish left a nice butterscotch and sugars on my tongue. I really like this one! “And now for something completely different!” – MP. The Balvenie 17yr. Islay Cask. (pause) yes, lets take Balvenie and let it rest in a Laphroaig cask. Brilliant! This is a hard to write about, but a wonderful peated scotch from Balvenie is a rare, and unusual thing. I have yet to get my hands on this one but will look for it. If you come across it try it. Or buy it. If you don’t like it, you can find a buyer, I promise. Finally, a peated offering called Peated Cask. 17yr. and a bit lighter than the Islay cask. The Balvenie architects came up with a special peat rendering to develop this one. It has a traditional vanilla and smooth texture to it with a kick of peat. It is nice. All seven of these Balvenie’s share a common DNA. That of Honey Sweetness, and of course the guidance of David Stewart. It should be noted that Balvenie is not owned by a corporation. They are family owned and enjoy that freedom. 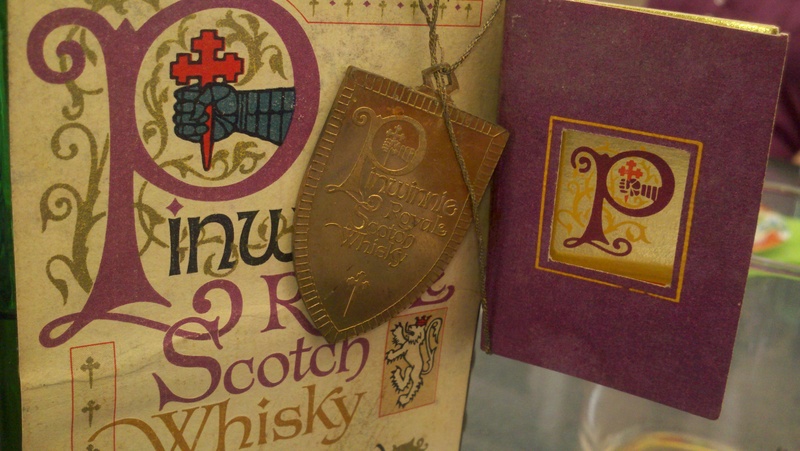 I am particularly fond of their traditional marketing and attention to detail in how they craft their whisky. I do entrust that they will continue their excellence. As a side, The Balvenie is having a bit of a “road trip” through America with two ambassadors. You can find out more at their home page. I will probably post something exclusively about that event soon. I would encourage you to explore these offerings and if you have any of them, you might want to secure some more if you can. They are limited(hint).